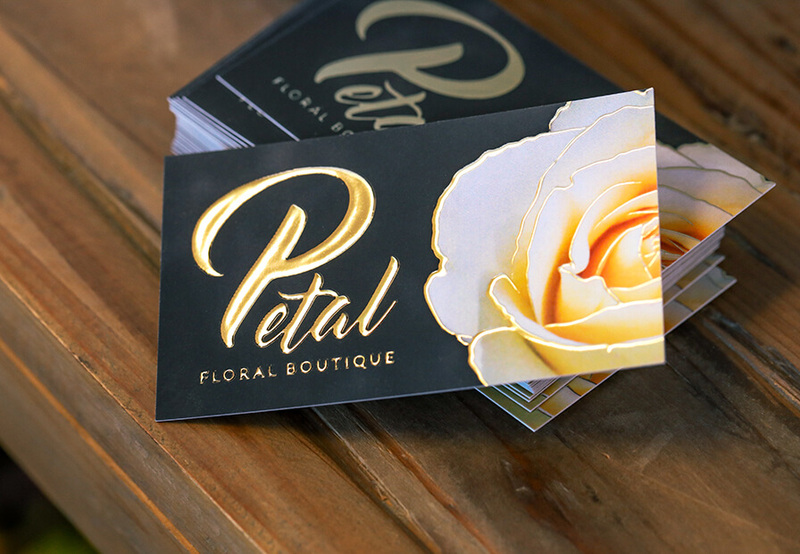 Custom business cards are a reflection of you and your brand. 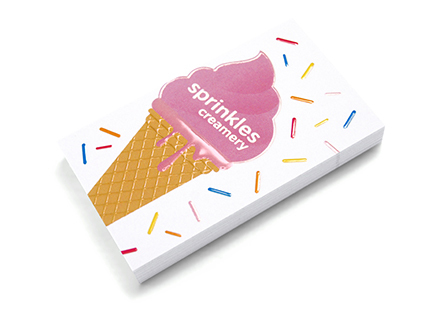 Choose from a variety of sizes and printing options to create an eye-catching card. 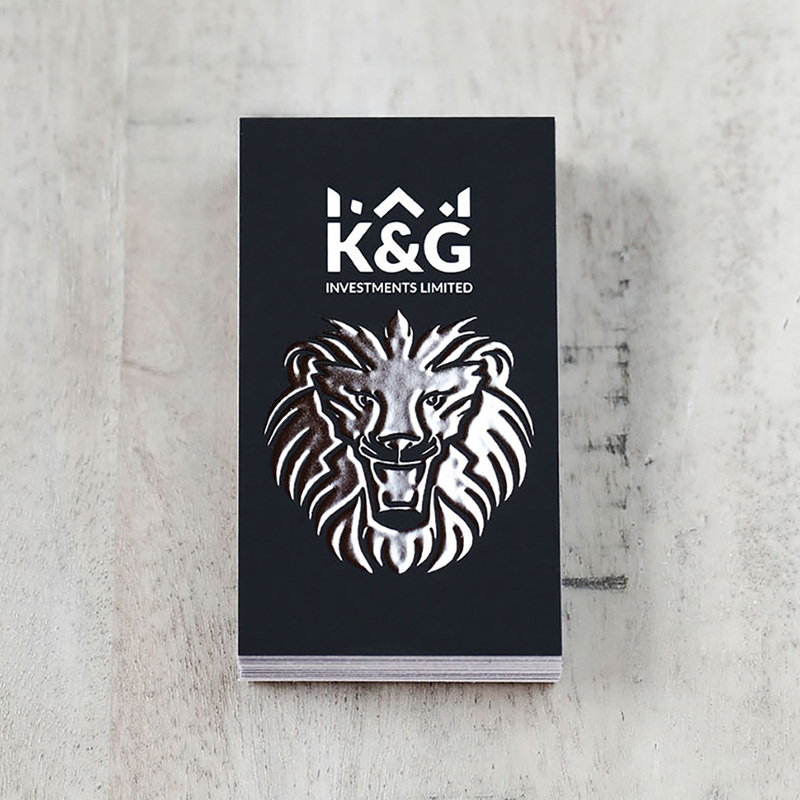 It's time to take your brand to the next level with one-of-a-kind Raised Spot UV, and Raised Foil (Silver or Gold) business cards. 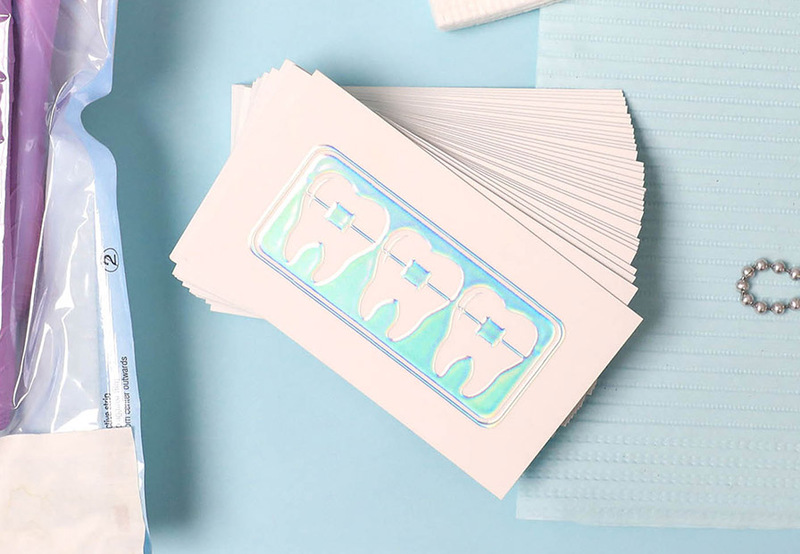 Dazzle customer and colleagues with Holographic Foil Business Cards. 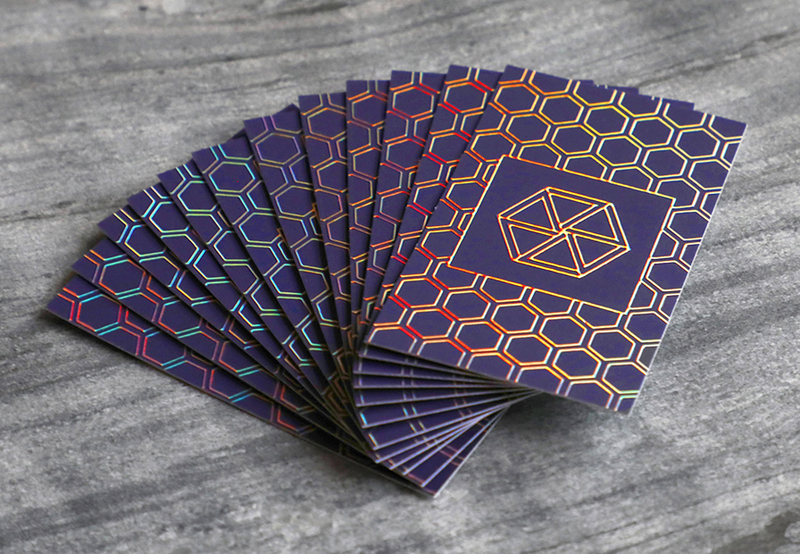 The Holographic foil is digitally printed on our premium Velvet laminated card stock. 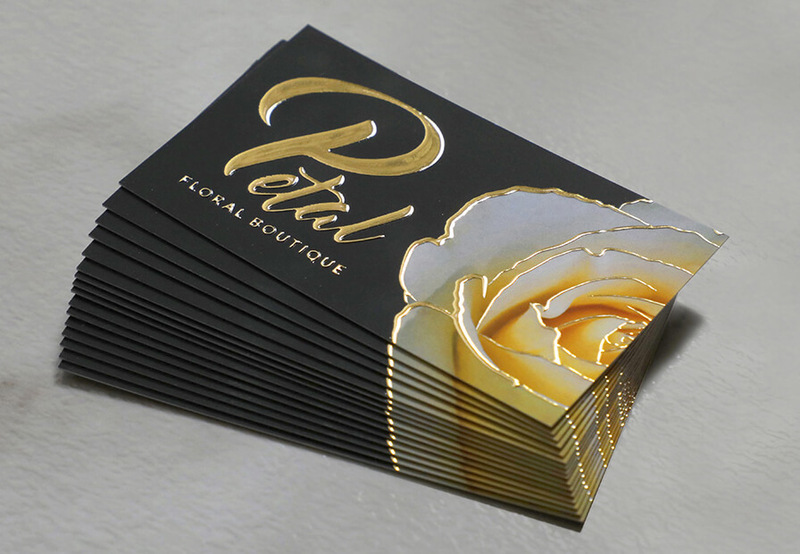 You have the option to include foil printing on one or both sides of the card. 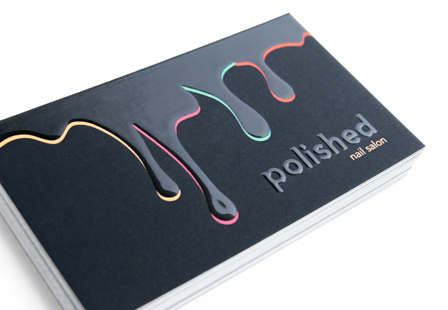 Raised Spot UV Gloss: Selective Raised Spot UV gloss is available on 1 or 2 sides. *Printing: Digitally printed. 4-color process printing (CMYK), single or double sided. Please Select 2" x 3.5"